Hello Chengdu International Youth Hostel v Chengdu, Čína: Zarezervujte nyní! 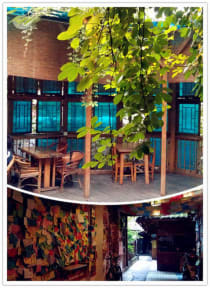 Our hostel is the biggest one in southwest of China with a maximum capacity of 200 people. 3.Two lovely gardens in our hostel as well as a bar and outdoor terraces. There is no place like home, and we try our best to make our customers feel at home. We offer a range of activities as well as big festival parties. If you book your stay at our hostel for more than one week (consecutively), we will have special offers. -Our bar provides all kinds of alcohol with cool music; laid-back atmosphere and staff are always willing to chat with you. Costumers may change the music to suit their tastes. -Our travel desk provides efficient travel information. -We have large seating area including outside terrace and plenty of indoor sofas where you can relax and use WIFI. -We have DVD room with thousands of English, Chinese, Korean and Japanese DVDS to watch. -We have a Foreign Language Library where you can swap books. -We have Game area includes pool table, ping-pong table, table football. 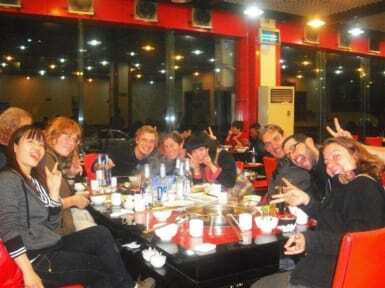 -We have heating system in our hostel,which is the only hostel in Chengdu with such a reliable heating system.